22-year-old Siyanda Xulu was, a couple of years ago, one of South Africa’s biggest prospects. 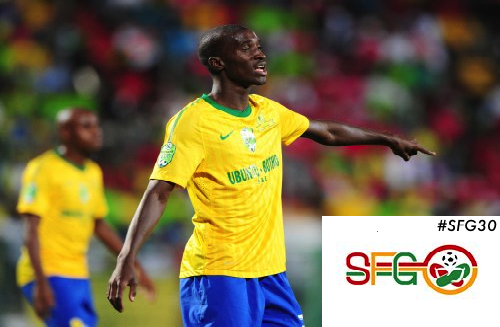 A key figure in the Mamelodi Sundowns back four since he was a teenager, Xulu was awarded with trials and contract offers at Barcelona, Atlético Madrid and Arsenal, with the latter failing to secure his signature in 2010 due to work permit issues, a plague which keeps many South Africans from playing abroad. He signed for Rostov of Russia in the beginning of the 2012/2013 season, a move which was surprising in the way that it was expected for him to move to a larger club. Having joined with the season already at full speed, he took a while to adapt, but when the league returned from the winter break, he established himself as a regular in the squad. This season, he has been jumping in and out of the squad, combining sequences of 90 minute appearances and fending off figures such as Samuel Eto’o with bench-warming in the mid-table club. His height (192cm) does not mean that he is slow or clumsy. A player with great anticipation and positioning skills, Xulu uses his athleticism to intercept balls and his speed to mark any player running towards goal. He’s not one to move outside of his comfort zone, but he is versatile in defense, being able to play in virtually every position behind the midfield. He boasts 3 Bafana Bafana caps, all in friendly matches, and is touted to be the successor to Bongani Khumalo or Anele Ngcongca. A consistent 2014 season may bring him more possibilities to play in the national squad and, provided South Africa qualifies, a spot in the 2015 Africa Cup of Nations. It may also allow him to transfer to a bigger club, as Rostov is not really everyone’s first choice when deciding to move to Europe. “I think any young South African with a chance to go overseas should take it,” said Xulu in a recent interview. As one of the few young South Africans who are playing in Europe, he is more than qualified to speak about the subject. 2014 will be crucial for Xulu’s development and he may just deliver what is needed for him to become what people expect him to be. Hey guys, Alex’s name is misspelled. It’s Queirós. Just wanted to give you a heads-up. Keep up the good work!